For the grafters, if you’re starting a business, catching up after a long day or doing up your home, motivation to work in the evenings comes pretty easy. However, every now and then we trip up. And tonight, after consuming two or three too many pancakes, I’m now feel like sinking into a mild coma. IQ lowering; the sofa and TV are calling. But this is what it’s about, working hard so that sometimes you can overdo it and relax. Cold beer or glass of wine on Friday. Or too much flour, eggs and milk once a year. 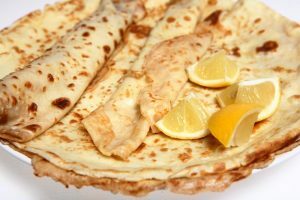 So before the sugar and lemon spree gets the better of my brain, I hope that you too downed tools and enjoyed your pancakes. Here’s hoping that tomorrow brings a more balanced diet and our over indulgence doesn’t lead to too much of an economic battering.